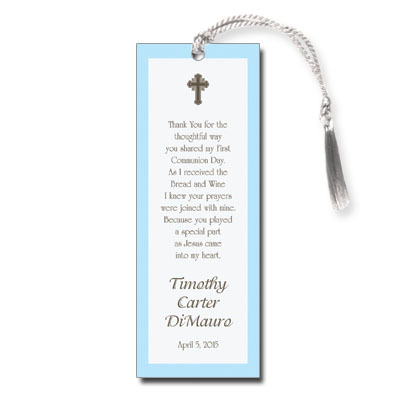 The perfect way to commemorate your child's First Holy Communion, this bookmark features a simple border and cross printed in blue and chocolate, finished with a white satin tassel. Include your child's name, the event and date to make this design complete. Assembly is required. Measures 2in x 5.5in.